When the girls were little, like preschool little, I purchased a hot glue gun, hair clips and ribbon from a craft store (or several.) 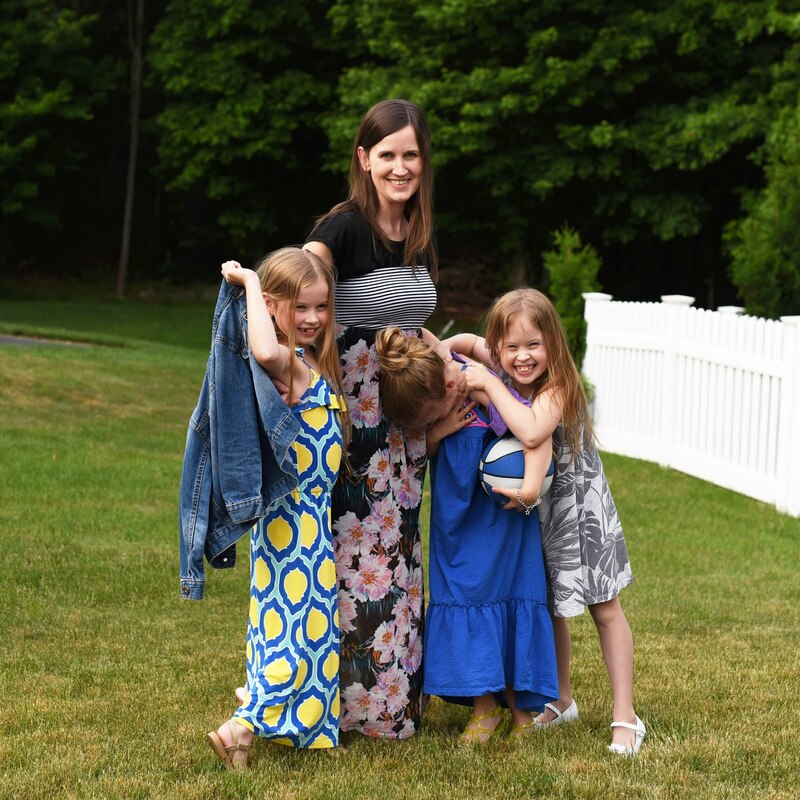 I had big plans to craft hair bows but with work and everything else, my plans fell by the wayside and then Grammy started making bows for the girls and I just kind of forgot about it. Until now. You see, they still wear bows and such but I realized not that long ago that these days are numbered. 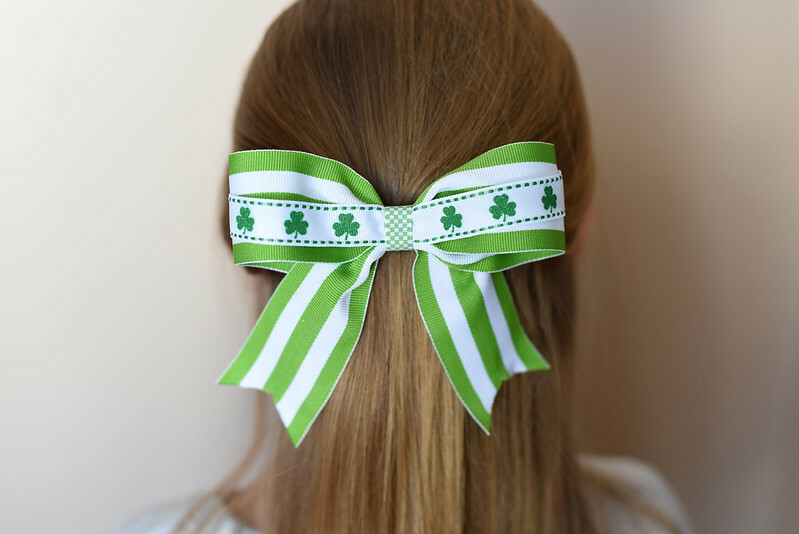 First up was a bow for St. Patrick's Day, which is a celebrated holiday around here. 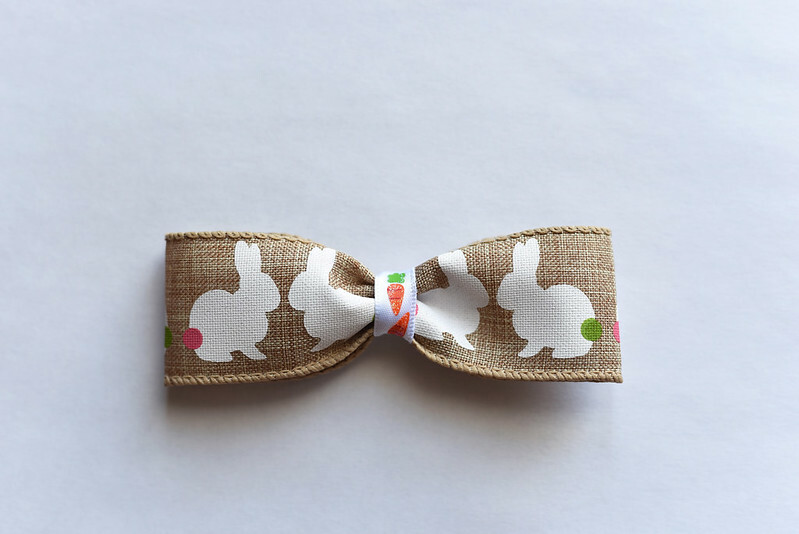 And a few bows for Easter . . .
Come on! 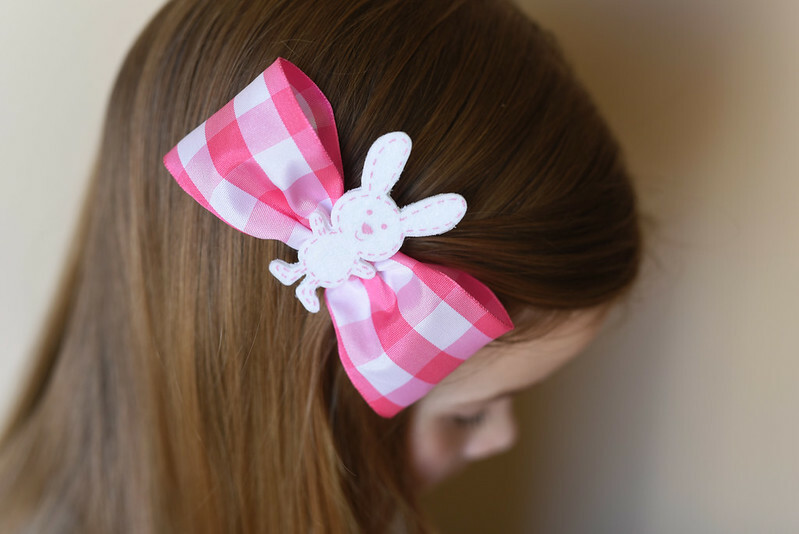 Gingham and a bunny! How cute is that? I like this one because it looks a little bit grown up. Love the carrots on the center ribbon too. 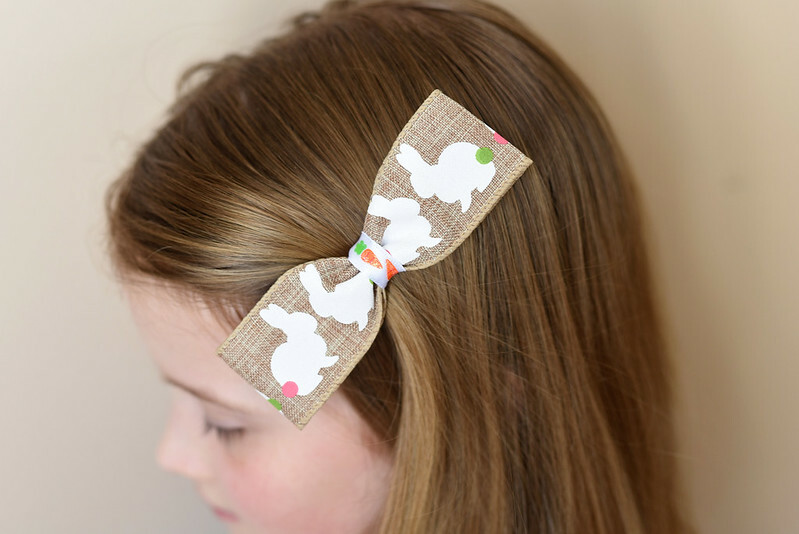 As I was checking out bows and such online, I realized that all the trendy bow shops use fabric or "vintage" ribbon. Unless you have the big cheer bows. Whatever. 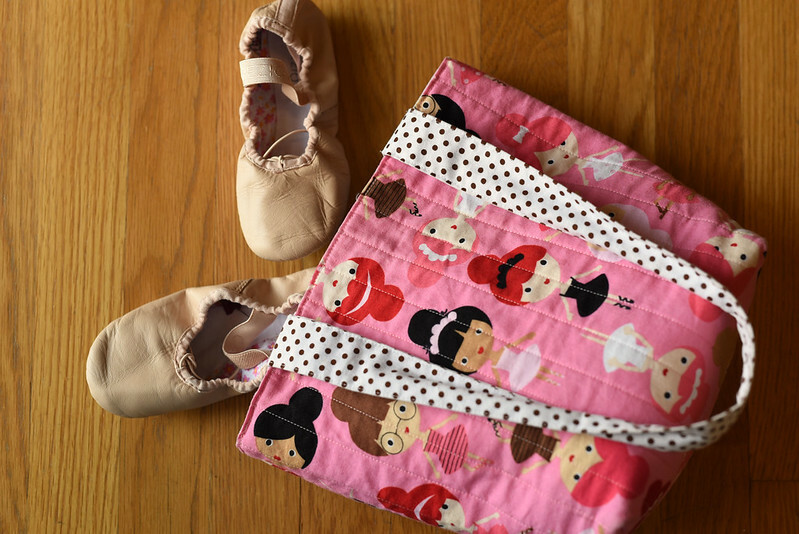 My recent big sewing project was a new dance bag for Allie. Her current bag was just too small. I made that bag almost four years ago and I have to say that's a good run for a bag. The sewing part of it is still perfect - there are no ripped seams or popped stitches. It's really just too small. 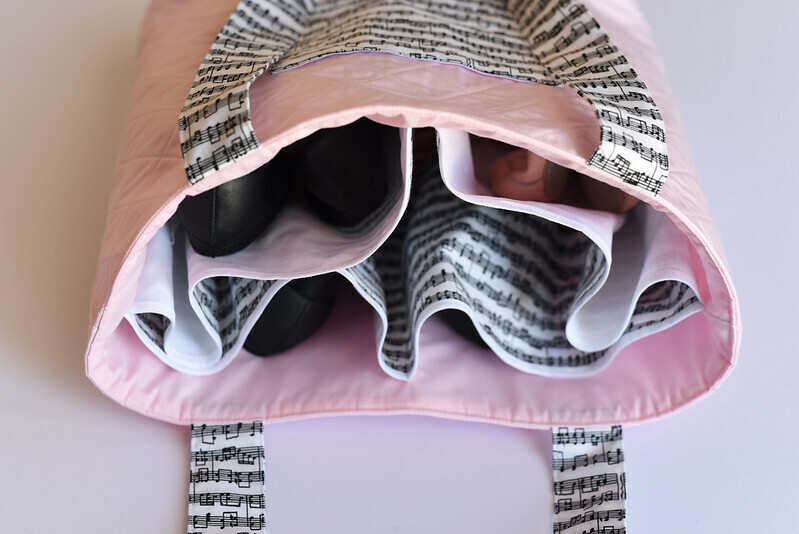 I wanted to make Allie's new dance bag a bit more mature, hoping that it will last her through middle school. I had trouble finding the perfect fabric for this one. She was pretty open but she did want it to have some sort of dance theme to it. She then decided on the solid pink and then I found the music notes and we went with it. That pink fabric ended up being lighter than I would have liked it to be. I did quilt the outside of the bag to give it a more interesting look. 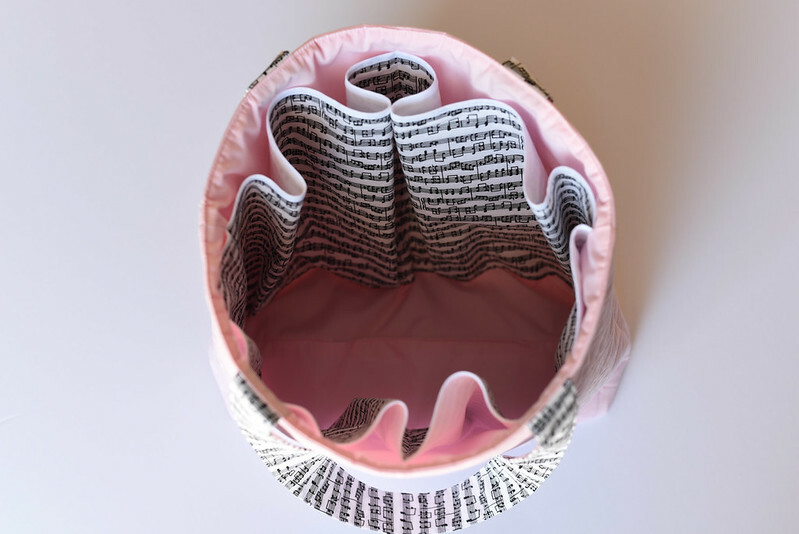 She has three pairs of dance shoes now so in order to keep items organized in the bag, I created 4 big pockets on the inside. There's still enough room for a pair of pants and a small jacket. The bag needs to be stored in the crowded lobby during dance class so neither of us wanted a huge bag. Up next: More dance bags! I have tropical fabric all ready for mine. I'm going to try the quilt-as-you-go method for that one. Both of those bags are adorable -- as are the bows! I absolutely love your crafting/sewing projects! 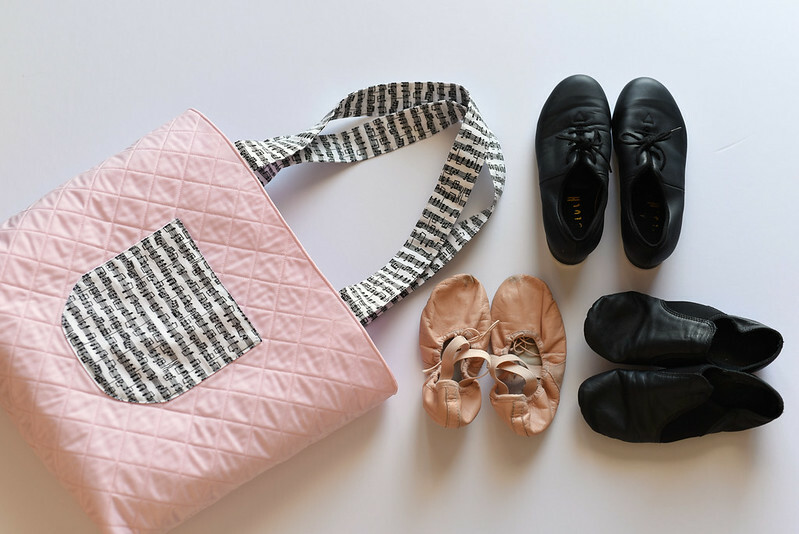 Love the bows, but really love the dance bag (especially the shoe pockets! )!